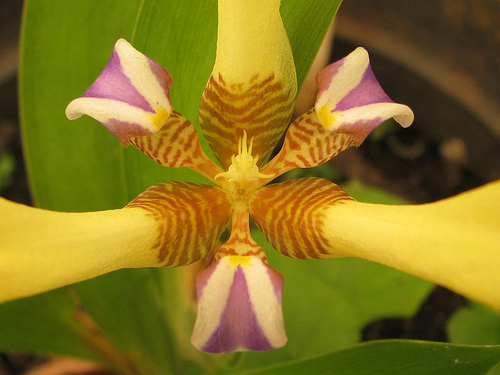 This plant is quite rare and originates from Brazil, I believe. I picked one small plant in Tahiti (shhh, at the Botanical Garden) and brought it back to Phuket, Thailand. It has done well over the years and likes plenty of watering. It has 3-5 ft. long blade like leaves and flowers in autumn. The blossoms are strikingly beautiful, i.e. 3-4 inch blue flowers that alas, last only 1 day!!! Nevertheless, it produces several flowers at a time with a few days interval, so it is always a delight when you discover new ones. This is a "never heard of plant" for most of us and also called "12 Apostles walking Iris". 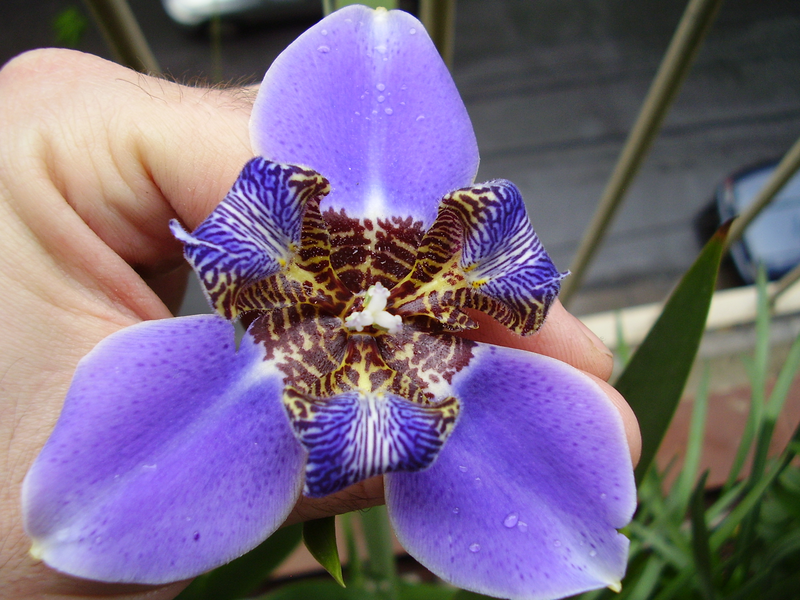 It belongs to the IRIS family and can be grown in larger pots (some sunlight and some shade is ideal) in temperate to tropical climate zones (avoid frost). Because of it's size, it needs to be outside. Something very different and beautiful! 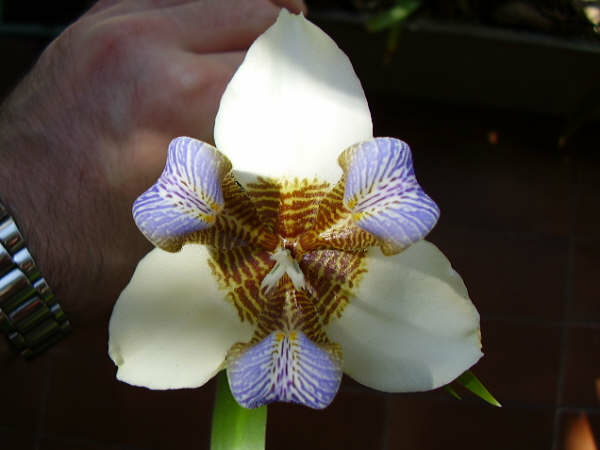 I have a white one--still the purple and brown petals in the center, but the sepals are white. And the flowers and plant are smaller. Flowers are perhaps 2-3 inches and leaves are 2 ft or so. Blooms for me in Feb/March. They are really beautiful ! They also have a heavenly fragrance. Fragrance? I'll have to lean down and smell mine! It's from Brazil, there's neomarica gracilis, candida and coerulea as far as I know. They smell like rose's milk. the flower lasts one day. They're really beatiful and impressive. Last edited by Diamond; September 30th, 2009 at 12:32 PM. Michael, your iris is lovely! Mine is similar to Ron's, but yours has a gorgeous deep blue color. 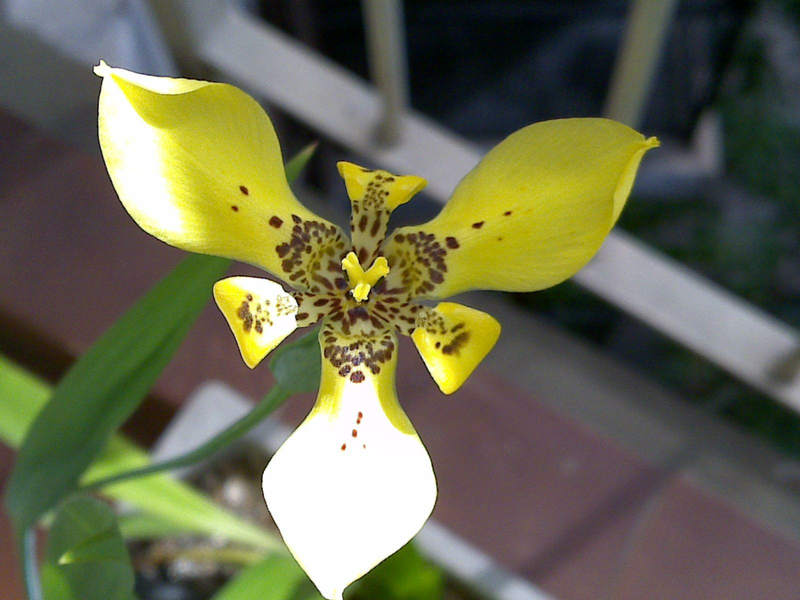 I've had it in the same pot for 15 years or so - don't remember where I got it - and it blooms profusely in the summer. It's funny, I've only been able to enjoy it fully since I quit work 4 years ago. I used to go to work before the blooms opened, and they were gone when I got home. Now I can really enjoy it! Thanks for sharing.